Chronic Mononucleosis (mono) is an acute infectious disease which is characterized by the presence of an abnormally large number of mononuclear leukocytes (monocytes) in circulating blood. Chronic Mononucleosis -- a disease which is also called 'Chronic fatigue syndrome' -- is most commonly caused by Epstein-Barr virus (EBV). The most notable indications of this disease are fever, fatigue and sore throat; and it generally gets transmitted via direct oral contact (through saliva). Mononucleosis is also sometimes referred to as 'kissing disease' because it can spread through kissing. Besides kissing, some of the other situations which can potentially facilitate the transmission of this disease are exposure to the cough or sneeze of an infected person; and by sharing glasses, dishes or food utensils with an infected person. It is important to note that the Epstein-Barr virus which causes Chronic Mononucleosis infection has an incubation period of approximately 4-6 weeks, or even a much shorter period in case of children. Moreover, the virus can persist in an infected person's saliva for several months after the infection. Hence, preventive measures against the spread of the disease should be taken for a long time after its symptoms have subsided. The occurrence of Mononucleosis is recorded more frequently during the spring season as compared to other seasons of the year; but it is not as contagious as common cold or some other infections. The disease chiefly affects children and young adults. Mononucleosis is not usually a very serious disease by itself. Nonetheless, the Epstein-Barr virus (EBV) can cause a serious illness in individuals who have an impaired immune system, specifically individuals who are suffering from HIV/AIDS or those who have been taking drugs to suppress immunity after undergoing an organ transplant. As of now, there is no vaccination for the prevention of Mononucleosis, and there is also no specific treatment for the infection. Therefore, the treatment of this disease is mainly symptomatic; with adequate rest, healthy diet and sufficient intake of fluids considered to be the key to recovery. Swollen tonsils, which can affect breathing. Meningitis, Encephalitis, Guillain-Barre syndrome and other complications of the nervous system. Since there is no specific cure for Chronic Mononucleosis in present times, the treatment of the disease basically revolves around different measures undertaken by medical practitioners for providing relief to the patients suffering from the disease by controlling its symptoms. Certain herbal formulations prepared by renowned herbal manufacturing company Planet Ayurveda can be very beneficial for the patients of Chronic Mononucleosis with EBV, because these formations can effectively manage the disease without any side effects or complications. 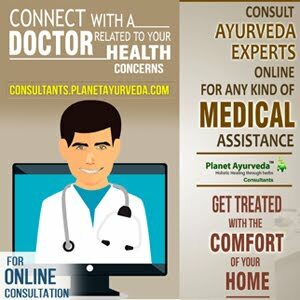 These herbal formulations are prepared under the guidance of renowned Ayurvedic experts. These capsules are prepared from the standardized herbal extract of 'Curcumin' which is the most important active compound of the 'Haridra' herb (Curcuma longa), commonly called Haldi or Turmeric. The 'Haridra' herb, with abundant benefits of its Curcumin compound, make Curcumin capsules a wonderful herbal supplement which has proven properties to effectively manage Chronic Mononucleosis infections with EBV as well as several other health conditions. These capsules can treat inflammatory conditions, purify the blood, manage digestive disorders, treat asthma and allergies, reduce oxidative stress, and protect the body against the harmful effects of free radicals. DOSAGE: 1 capsule twice in a day after meals with plain water. Kaishore Guggul tablets are an excellent herbal product for managing Chronic Mononucleosis infections with EBV. The herbal components of these tablets have the capability to treat bacterial infections, boost the immune system of the body, and treat a number of skin problems. Kaishore Guggul tablets are prepared from a combination of eleven powerful herbs. These herbs are: Guggul (Commniphora mukul), Haritaki (Terminalia chebula), Amalaki (Emblica officinalis), Bibhitaki (Terminalia bellirica), Guduchi (Tinospora cordifolia), Ginger (Zingiber officinale), Vidanga (Embelia ribes), Long pepper (Piper longum), Black pepper (Piper nigrum), Red Physic nut (Baliospermum montanum), and Indian jalap (Ipomoea turpethum). DOSAGE: 2 tablets twice in a day after meals with plain water. These capsules, for boosting the body’s immunity, are prepared from herbs like Bhumi amla (Phyllanthus niruri) and Amalaki (Emblica officinalis), Cow colostrum (Bovine colostrums), and Grape seeds (Vitis vinifera). The use of these capsules is helpful in strengthening the immune system, keeping the respiratory system healthy, fighting infections caused by bacteria/allergens, eliminating toxins from the body, enhancing the body's metabolic rate, and preventing the recurrence of infections. For preparing these capsules, pure and natural herbal extract of the widely known ‘Giloy’ herb (Tinospora cordifolia) are used. The herb is used widely in herbal products because of its proven anti-inflammatory, antioxidant, immune-modulator, anti-cancer, and antipyretic properties. The regular use of Giloy capsules can provide relief to the patients of Chronic Mononucleosis infections with EBV. These capsules are useful in treating chronic fever, curing a number of skin ailments, managing gout and cardiac debility, treating anaemia, strengthening the body’s mechanism to fight infections, and managing jaundice and different types of cancers. These capsules are prepared from the pure extract of the 'Ashwagandha' herb (Withania somnifera), which is used widely in Ayurvedic products because of its proven medicinal, rejuvenating, and anti-inflammatory properties. The use of Ashwagandha capsules is very beneficial in supporting the overall health of the body, reducing metabolic imbalances, lowering blood sugar levels, alleviating depression, increasing muscle mass and strength, reducing inflammation, improving brain function, and improving heart health. The use of the above-mentioned herbal formulations is very beneficial in managing Chronic Mononucleosis infections with EBV. All these formulations are prepared from 100% pure and natural herbs; and do not contain any additives, chemicals, starch, artificial colours or preservatives.